Greenest junk removal service in the Bay Area? If you're looking for a Livermore green junk removal service, you just might be surprised at which of the Bay Area junk removal companies are actually the most eco friendly. We find that the junk hauling companies that most often brag about being the "greenest," are probably the least green. Case in point, we often witness a San Ramon junk company franchisee dumping off recyclables and other useful items at the local garbage dump. The irony is that they claim to be "America's greenest junk removal service." We don't feel the need to boast about how green we are, because being green is just part of being an ethical junk removal business. You don't brag about something you're supposed to do, you just do it. ​So rest assured that when you choose Haul it All, your junk is going where it's supposed to; recyclables are recycled, donatables are donated, yard waste is mulched or composted, and if there's absolutely no other option, garbage is dumped legally at the landfill. 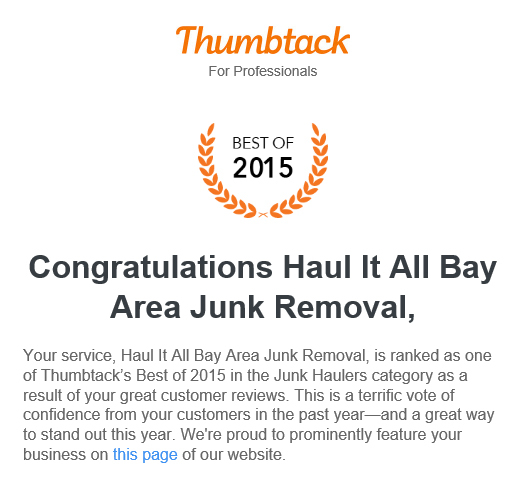 Haul it All debris and junk removal services is so pleased to announce that we've been named Thumbtack’s Best of 2015 in the Junk Haulers category as a result of our great customer reviews! We couldn't have done it without you, our customer. You can find Haul it All ranked #1 in the region on Thumbtack's list of best local junk haulers! What an honor. See our full Thumbtack profile and positive reviews here, and check out even more positive reviews on Haul it All's Yelp page. 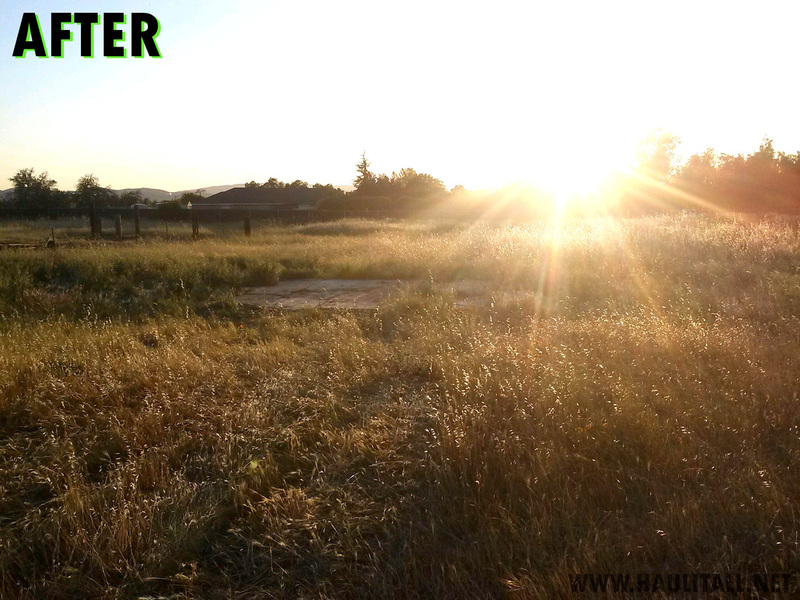 Call us today at (925) 667-6524 to book your Bay Area junk removal appointment. Here is a recent job we did in the area of El Sobrante and Richmond CA. Junk removal at this home remodel included construction debris, old furniture removal, scrap metal pickup, and removal of all kinds of large junk hunks, such as broken sectionals, tables, and chairs. Here is an example of a recent junk removal. Livermore, CA is one of many cities where we offer property clean up services. 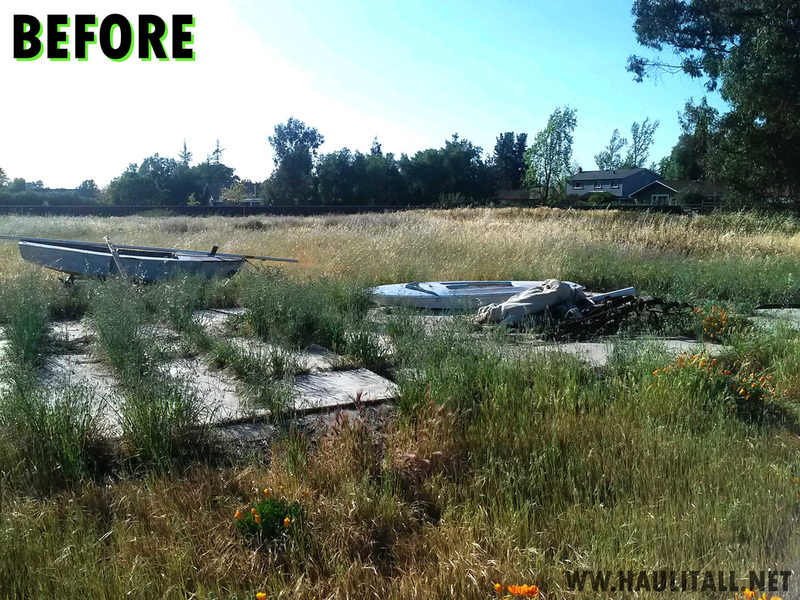 This job was to cleanup a vacant lot, which included old boat removal and disposal of some old farming equipment. 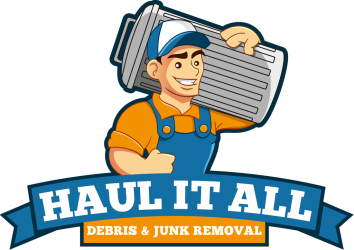 If you're interested in having Haul it All Junk Removal cleanup your field or vacant lot, just give us a call at (925) 667-6524. We offer free estimates and same-day service. Haul it All Bay Area junk removal services.